Geotypografika » Blog Archive » Vive le dessin graphique. 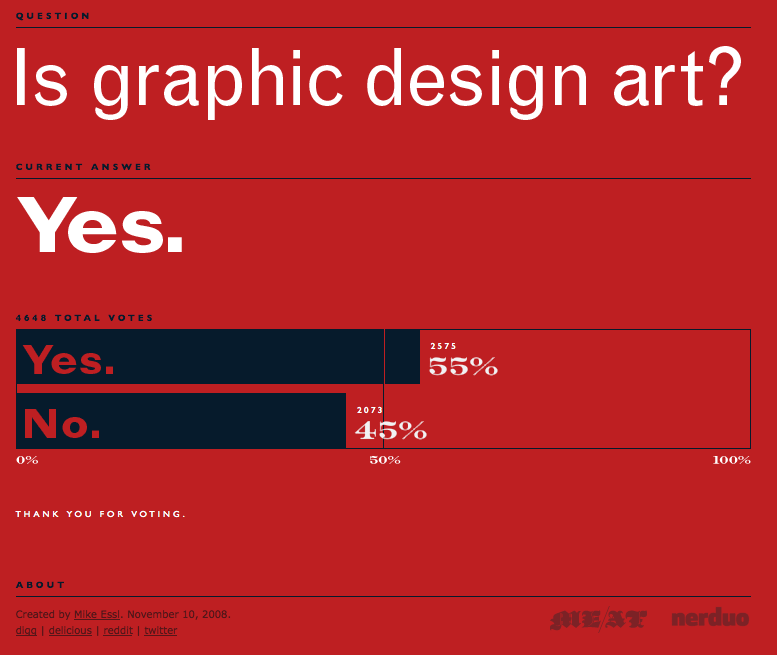 Above: Let your voice be heard, vote at isgraphicdesignart (dot) com. This entry was posted by Erik Brandt on Wednesday, November 12th, 2008 at 9:50 AM	and is filed under Aktuell, Art, Education, Globalization, Graphic Design, International, News Links, Typografika, Typography.